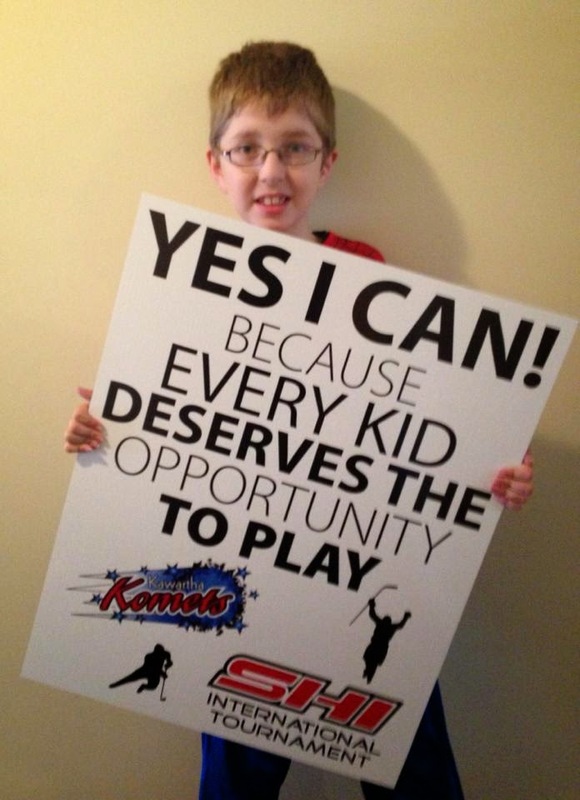 Kawartha Komets: Yes I Can !!! Kawartha Komets Junior player Andrew Avery believed he could play hockey and the Komets afforded him the opportunity and he has excelled. He also believes that everyone should have the chance to lace up their skates, don a hockey sweater and get to play for a "real" team. He's busy fundraising in his hometown of Cobourg so that our players can participate in the Special Hockey International Tournament in Ottawa from March 18th to 21st, 2015. Way to go, Andrew! You're really blazing! NOTE: If you see our Kawartha Komets players canvassing at local stores be sure to drop something in the box. It will be much appreciated and will help to send our players to the tournament where memories are made and friendships that last a lifetime are forged. THANK YOU!